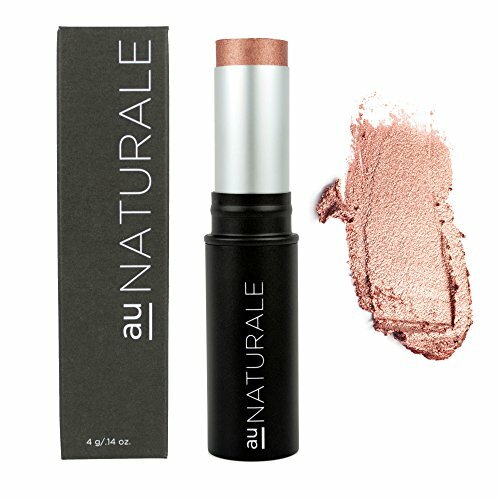 Why we love it: This gorgeous creme highlighter from Au Naturale is a total clean beauty game changer. Sure to be a new staple in your makeup bag, its available in 3 luminous shades: a champagne pink Rose Gold, a pearly neutral Celestial and a yellow gold The OG. Apply this buttery smooth highlighter to your cheekbones, cupid's bow, brow bone and nose tip for a dewy radiance that brings light, lift and vibrance to your skin. Pair it with Au Naturale's Creme Bronzer for a sculpted, lifted contour. Formulated without animal bi-products, synthetic preservatives, nano particles, gluten, parabens, fillers, dyes or toxins, this product is 100% natural, cruelty-free, vegan and made in the USA.